The shampoo bar is best for maintaining the health of both scalp and hair. It is high in vitamins A, C, K and D, along with other antioxidants that are important for hair growth. For normal hair Castor oil works great because of its antibacterial and antifungal properties. It is high in Vitamin E, minerals, proteins and Omega 6. Almond Oil is another kind of oil which provides silkiness and shine to your hair and nourishes the scalp. Then again Jojoba oil is an excellent natural moisturizer that is easily absorbed by the scalp. Brahmi powder is a traditional remedy that is known to make hair thicker and nourished and also brings relieve to itchy scalps, promotes overall health of the hair, preventing split ends, reducing of hair loss and dandruff. 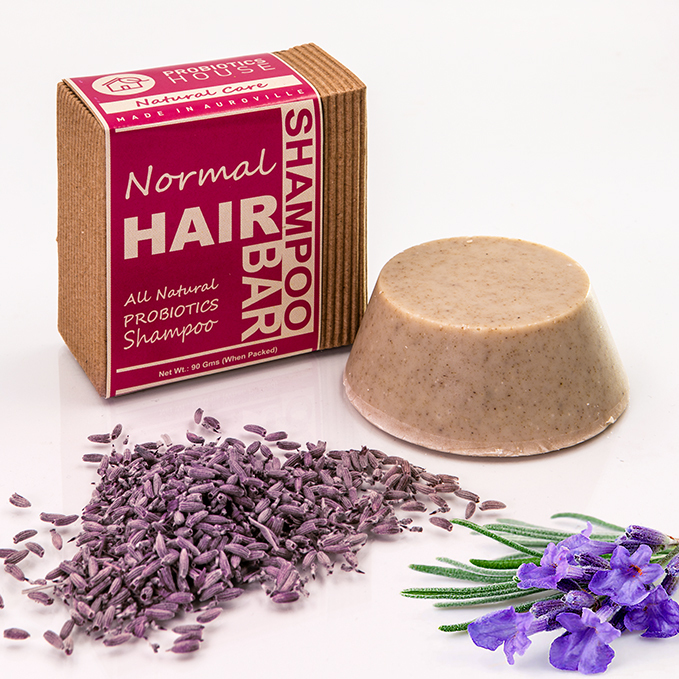 This shampoo bar will bring your hair beauty and make it soft, beautiful, radiant and thick. Super shampoing, très économique… nous l’avons ramener d’un voyage à auroville… super pour toute la famille! Merci. We continuous our duty to help Mother Earth. Hope to see you again in Auroville soon.